Our Flowing Chuni has an opaque, less transparent quality than our Stretchy Chuni and is made of thicker material. The Flowing Chuni does not stretch and is used as a top piece on formal turbans. 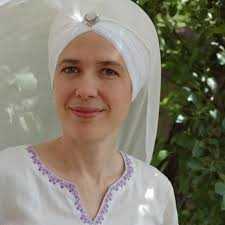 Flowing Chunis are a very strong element in Yogic Technology and can be attached to the turban with an Adi Shakti pin. You can wrap one side of the chuni across your front and over the opposite shoulder which yogic-ly helps to cover the arc line and protect the heart and communication centers. 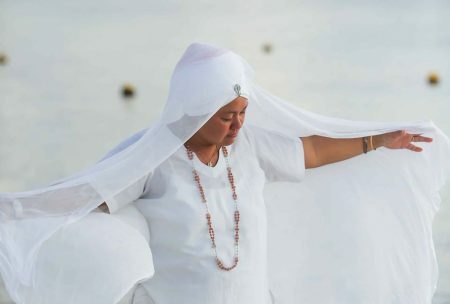 It is said that the Flowing Chuni, when used as part of your attire will protect you from unwanted negative energy. The Adi Shakti Pin helps to divert negative attention as well.